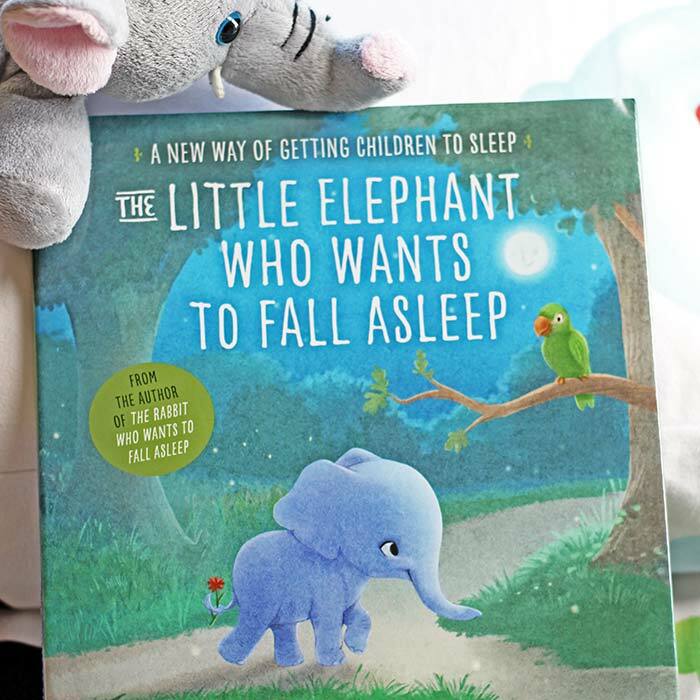 Can The Little Elephant Who Wants to Fall Asleep help your kids fall asleep? We try it out! A few months ago, I came across this letter of recommendation for The Rabbit Who Wants to Fall Asleep in the New York Times. Oh how I related to the bedtime struggles of the dad in this piece, as the mom of two very active twin boys who have never been great at falling or staying asleep. There have been many nights when I would have tried anything to get them into bed without antics and actually sleep all night. I put the book on my Amazon wish list then promptly forgot about it, as busy moms sometimes do. Then a week or so ago, I got an email from Random House Children's Books, asking if I would like to review a new picture book by the author of The Rabbit Who Wants to Fall Asleep. This book, The Little Elephant Who Wants to Fall Asleep, promised "a new way of getting children to sleep." Of course I said yes immediately, and in a couple of days the book arrived on my doorstep. And we embarked on a bedtime experiment. Would it work? Could this book help my kids fall asleep? The Little Elephant Who Wants to Fall Asleep is the story of Ellen the Elephant, a little elephant who takes your child on a trip through the magical forest on her way to fall asleep in her bed. She meets some sleepy friends who encourage her to "fall asleep now." The first thing that struck me when I opened the book was the page of instructions to the reader, which includes a warning not to read this book to someone who is driving (what?!). There are also recommendations on how to read certain parts of the story - words in bold should be emphasized, places to add your child's name, and spots where you should yawn. OK, I thought, I'll give this a try. So we headed up to bed at our usual time, went through our bedtime routine, and settled in to follow Ellen the Elephant's journey through the magical forest and into dreamland. The first night, my boys were pretty amped up when we headed up to bed, and getting them interested in Ellen was a bit of a challenge. They thought the story was "boring," though I noticed quite a bit of eye rubbing and yawning that seemed to be a sign that Ellen might be working her magic. We made it all the way through, and they were asleep shortly afterwards. I found that it takes a few times to get used to reading the book aloud, because the language can be a little awkward. It does not exactly flow like the stories you are used to, and feels like you're throwing in some subliminal messages here and there ("close your eyes now"). I had a hard time following the instructions and still feeling natural, so I ignored most of them and just read the book in my own style. Night two was about the same - they seemed a little more interested in Ellen but stayed awake through the entire book, falling asleep shortly after. That old expression rang true with our experiment. On our third night reading The Little Elephant Who Wants to Fall Asleep my son, who didn't sleep through the night until he was 18 months old, fell asleep halfway through the book. My other son barely made it to the end and was out by the time I turned the lights off and gave him a kiss. The next morning, the boys seemed hooked on Ellen. One of my sons dug out an old elephant stuffed animal and named her Ellen. When our usual time to head upstairs to get ready for bed came around, instead of arguing, he grabbed the elephant and said, "Mommy, Ellen is ready to fall asleep now." His brother again fell asleep mid book and he was asleep shortly after. Can This Book Help Your Child Fall Asleep? It uses suggestive messages that help your child to relax and focus on sleep. The soothing words and imagery help lull your child into a restful and sleepy mood. Is it a magic fix for all your sleep problems? No. I believe it is an awesome tool to have in your toolbox, and when used in conjunction with good sleep practices like a consistent bedtime, avoiding stimulants like sugar and screens before bed, and a good night time routine, it can help your kids fall asleep more quickly and peacefully. Ellen is a new fixture in our bedtime box and a gentle friend that is helping make bedtime happier for all of us. 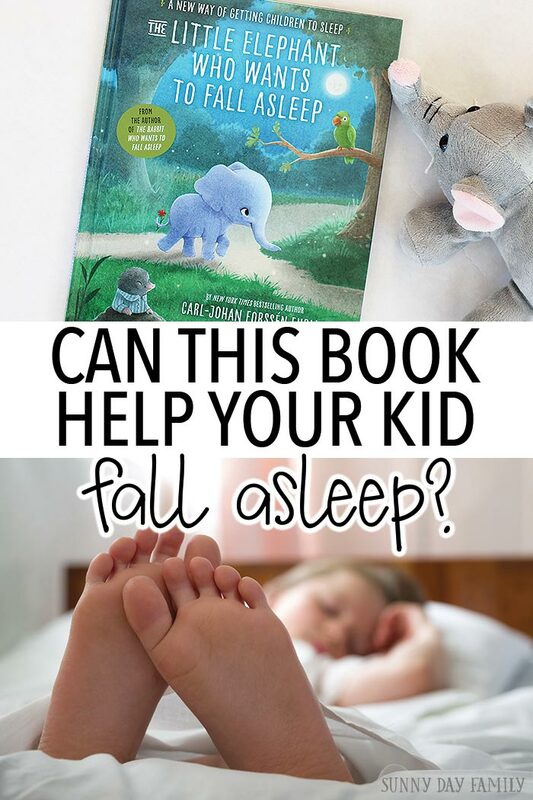 Want to give The Little Elephant Who Wants to Fall Asleep a try in your home? Random House has generously given me a copy of the book to giveaway to a lucky reader who is ready to help his or her kids to "fall asleep now." Simply enter below for your chance to win! If you can't wait, you can find a copy on Amazon - just click here.